The history of religious growth in the United States can be traced in no small part to the frequency of schism within religious organizations, which is to be expected where the First Amendment absolutely protects the right to believe whatever one chooses. One result is that the United States is a country of immense religious diversity. When religious organizations divide into factions, the property owned by the organization often becomes a point of contention. The question becomes whether a local Church may leave a denomination and keep its property and whether denominational trust clauses set forth in its governance rules enforceable. The law firm of Dalton & Tomich PLC has successfully represented many local churches throughout the United States who have left the Episcopal Church, the Presbyterian USA Church and now the United Methodist denomination the past decade. Many local congregations wish to leave their denominations yet struggle with the idea of leaving due to the threat of the denomination taking their property. 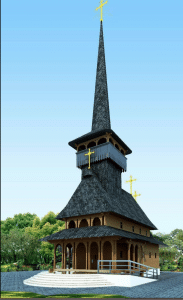 Dalton & Tomich, PLC represented Holy Trinity Romanian Orthodox Monastery in Clinton, Michigan with its departure from the Romanian Orthodox Episcopate of America and helped it keep its property. This case illustrates how one local church we represent successfully left its denomination and kept its property. On or about October 17, 2011, Adrian Lupo Leica (Leica) bought three parcels of land formally owned by from High/Scope Educational Research Foundation. Leica purchased the Property with the intention of retaining one parcel for himself and providing two parcels to a group of Romanian Monks who were removed from their Monastery by their Archbishop. The new property was solely used by the Romanian Orthodox Monastic community comprising of Right Reverend Bishop, Ioan Irineu Duvlea and Reverend Father Sebastian Dumitrascu, and administratively governed by its own separate Board of Trustees, and under the separate legal entity known as Holy Ascension Romanian Orthodox Christian Monastery. After a dispute between the Holy Ascension Romanian Orthodox Christian Monastery and Romanian Orthodox Episcopate of America, a group of Romanian monks, led by Bishop Irineu resigned from the Romanian Orthodox Episcopate of America. The Board of Trustees of Holy Ascension Romanian Orthodox Christian Monastery voted to dissolve Infuriated over the care provided to the monks, and the lack of respect to him by the Romanian community, Archbishop Nathaniel of the Romanian Orthodox Episcopate of America waged a war against Bishop Irineiu and anyone who supports him and sought to take the property of the Mr. Leica and the Monastery. The issue in this case was whether a cloud on the title asserted by the Romanian Orthodox Episcopate of America claiming it was the owner of the property should be removed as improperly filed.By applying neutral principles of Michigan’s longstanding property law, the Court found that the Romanian Orthodox Episcopate of Americahad no “legally cognizable” interest in the property owned by the Holy Ascension Romanian Orthodox Christian Monastery. We would be honored to walk with your local church in evaluating the relationship that you have with your denomination and find the best path of separation. Please contact Daniel Dalton at Dalton & Tomich, PLC to help your local church prepare for and walk through the departure process. What can a property owner do when the local government in Michigan takes ownership of land? Since the time of St. Basil the Great the properties of the local churches belong to the parishioners. Even the American civil laws are telling us the same. Great lawyers, Congratulations !!! God bless you !